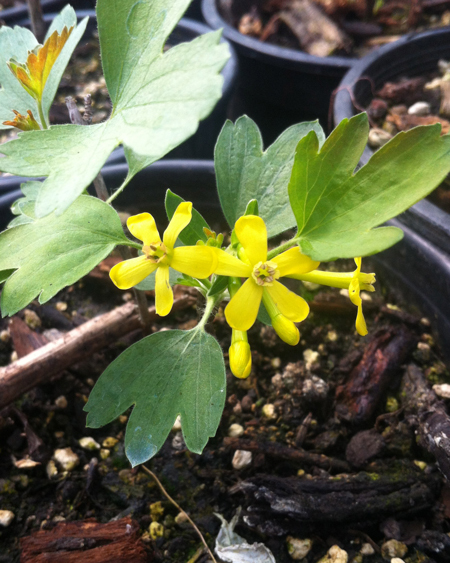 Less commonly used than the red-flowering Currant, the Clove Currant is also a pleasing ornamental plant. Two-inch racemes of spicy-scented golden yellow flowers can brighten a mixed border or woodland. It grows naturally along streams and draws, so is appropriate for riparian planting, too. The black fruits feed wildlife and punctuate with the red to purple fall foliage. Upright, willowy stems grow to six feet in height, forming a plant about as wide. Blossoms have a clove-like scent. 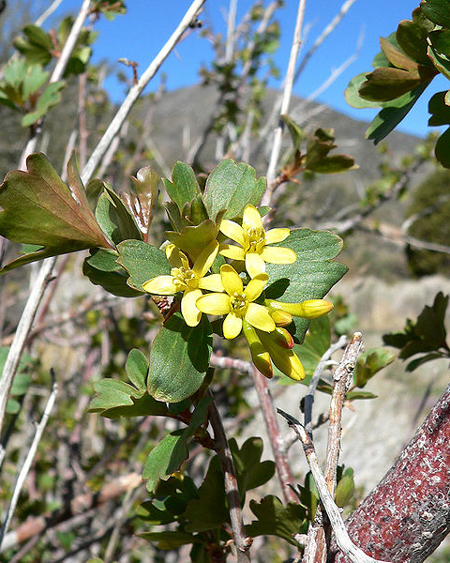 An east-side species, its bright green leaves are lobed and toothed. It thrives in moderately fertile, well-drained soil in the sun. Relatively drought tolerant once established, it is better with occasional water. Categories: All Plants, Deciduous, Native Plants, Plants for pollinators, More..